From the Democratic Republic of the Congo (formerly Zaire), Siama burst onto the musical scene in Kinshasa in the 70’s. Siama added his fusion of rock and soul guitar licks to the classic sounds of Congalese rumba and caused quite a stir. Embraced in the wildly popular band Cavasha, they renamed the band Kombe Kombe in the mid 70’s. Due to political turbulence in Zaire, the band fled first to Uganda and then to Kenya. His journey since the days in Africa lead him to live in Dubai and Japan honing his musical chops all the while. He has played with many renowned African musicians including Tshala Moana, Kanda Bongo Man and Samba Mapangala. After arriving in the Minneapolis area in the mid 1990’s, Siama became a local force in African music. He instantly united with fellow African musicians residing in Minneapolis and began playing with Shalita and Marimba Africa. His artistic outreach is far beyond the stage as he served as the musical director for Mixed Blood Theatre’s production of the Pulitzer Prize winning musical “Ruined”.Whichever venue you find Siama, he is always contributing his musical knowledge through the strings of his guitar. A great element to the Socaholix, Siama is a musical gift to all. 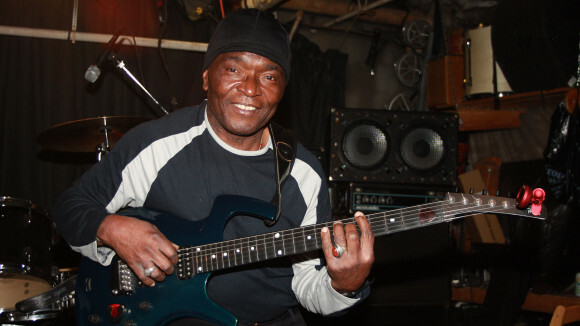 In 2015, Siama was awarded the prestigious McKnight fellowship which was awarded on the basis of his impact on soukous music and his work which is recognized throughout the world.